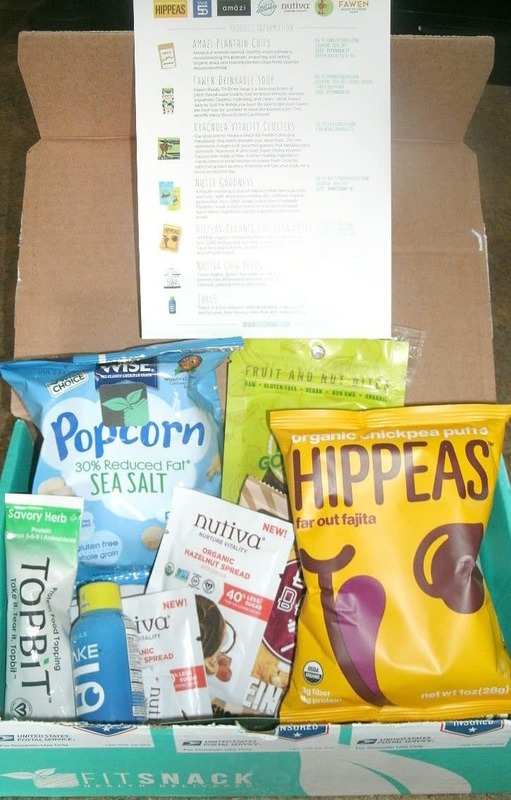 I was so surprised to open this month’s Fit Snack subscription box and see the many healthy and practical food items packed into one small box! With today’s Fit Snack review, I’m unboxing the July 2017 Fit Snack. 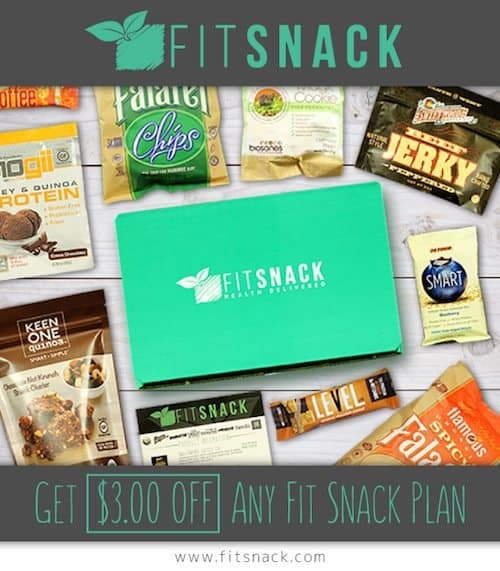 The July Fit Snack box provided an even spread of sweet items as well as savory food items – many of which I was introduced to for the first time! 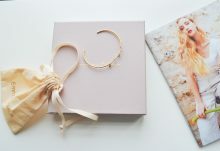 Also, if you have food allergies you will surely find something safe and indulgent in this box – just as I did! 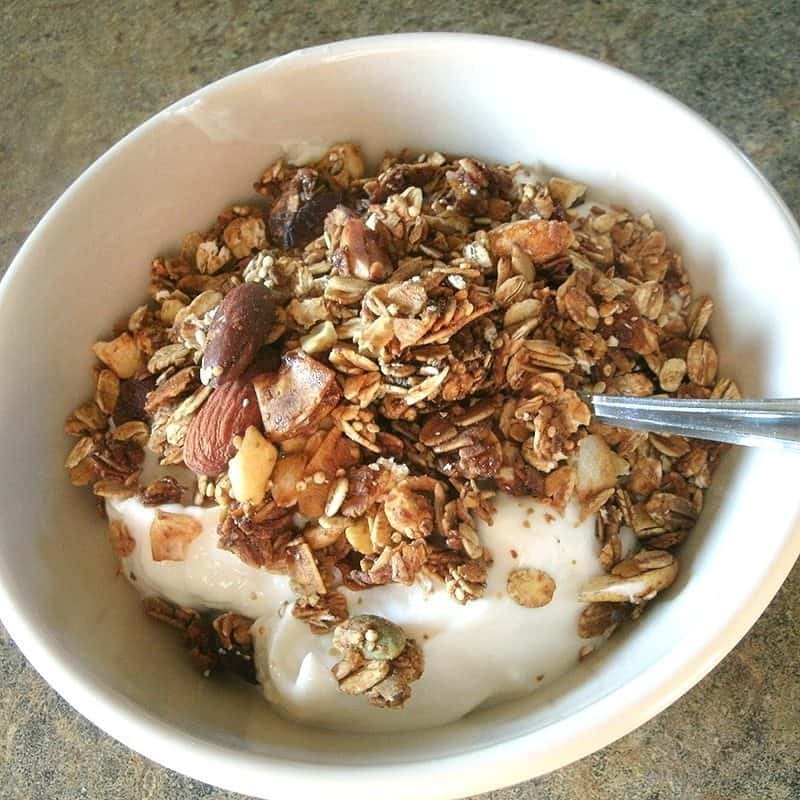 “Kracnola” – This delicious little bag of granola is crunchy, flavorful, and health-filled. This sample-size bag was enough to top a bowl of yogurt and made a filling and tasty breakfast. 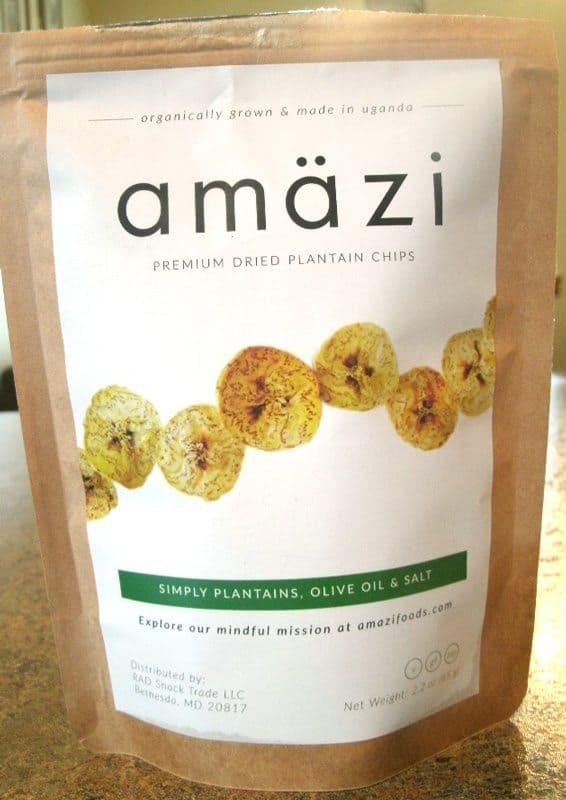 Amazi Plantain Chips – These organic dried plantain chips are grown and dried in Uganda. The olive oil and sea salt flavors are subtle yet satisfying. This 2.2 oz bag would make a perfect chip substitute during lunch. Nutty Goodness – This 1.5 oz bag of banana flavored fruit and nut snacks actually taste like banana bread! 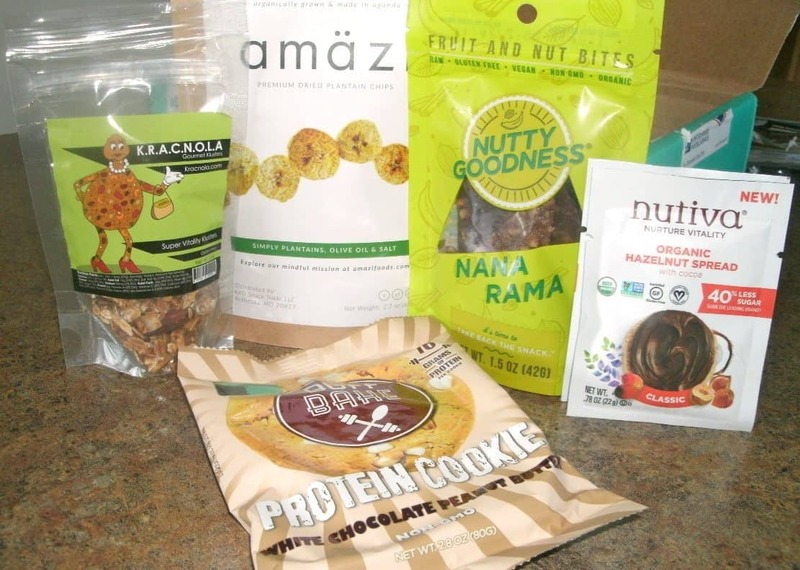 These are also easy yet healthy snacks to grab on the go. Anyone eating these would feel as if they were indulging in a treat and yet they offer the benefits of being gluten-free, vegan, non-GMO, organic, and raw. Nutiva Organic Hazelnut Spread in Classic and Dark Flavors – This month’s box contained two .78oz packets of original flavored hazelnut spread and two sample-size packets of dark flavored hazelnut spread. I enjoyed substituting these spreads for jelly on a piece of bread. Buff Bake Protein Cookie – This white chocolate peanut butter cookie packs 16 grams of protein and is non-GMO. If you are going to indulge in a cookie, it may as well have 16 grams of protein! 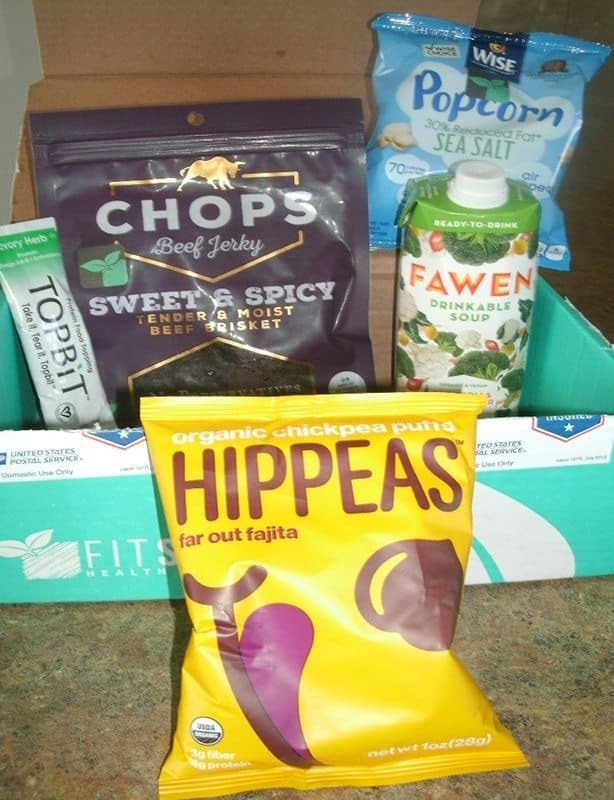 Hippeas Organic Chickpea Puffs snack size bag – These puffs are perfectly crisp and full of fajita flavor and as a bonus are also gluten-free, vegan, and non-GMO. WISE popcorn 30% Reduced Fat Sea Salt snack size bag – This little bag of popcorn is also subtly flavored with sea salt. It would be an easy snack to grab on the go and would not leave your hands covered in a buttery mess. 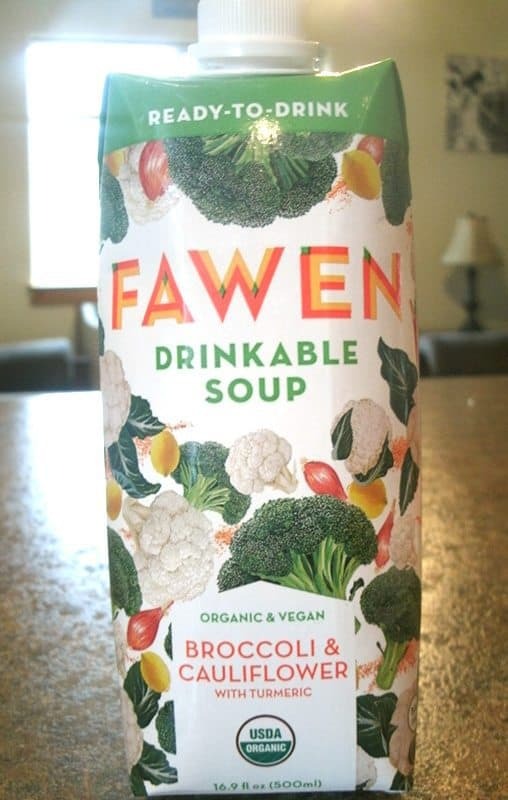 Fawen Drinkable Soup (16.9 fl oz) – This organic and vegan soup is easy to drink on the go and would be enough for one meal. Broccoli and Cauliflower with turmeric is the flavor of choice. TopBit Protein Food Topping – This savory herb protein topping gains its nutritional qualities from commonly known plant-based health foods such as chia seeds, Hemp seed, and pea protein, etc. 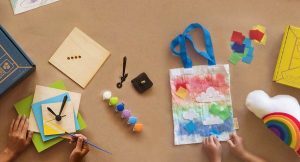 It is packaged in an easy to grab and go single serving package. Take 5 – This sugar-free drinkable dietary supplement comes in a 1.93oz bottle and is intended to aid in relaxation using natural ingredients. Chops Sweet and Spicy Beef Jerky – This 2.75 oz. bag of beef jerky is made with 100% beef brisket and is unlike others of its kind! It is tender and filled with flavor yet does not have commonly used preservatives. 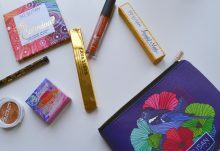 Which was your favorite snack from the June 2017 Fit Snack subscription box?